The two transplant methods widely used today are FUE (Follicular Unit Extraction) and STRIP (Follicular Unit Strip Surgery). These procedures differ in the way the donor hair is extracted. STRIP requires the cutting of a large strip of scalp from the patient's donor area. The incision is then stitched shut, and the grafts are harvested from this strip. The drawback to this procedure is that the patient is left with a long, linear scar across the donor area, preventing them from being able to sport a short hairstyle in the future, as hair must be kept longer in order to cover the scar. Of greater concern, however, is that the FUSS procedure greatly decreases the useable donor hair, affecting the patient's capacity for future procedures to restore their hair to its full potential. 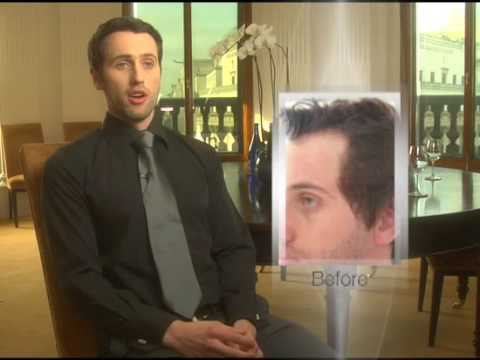 The revolutionary FUE Hair Transplant procedure addresses these concerns, as individual follicles can be extracted directly from the donor area, eliminating any strip removal. This results in a significantly reduced healing time and NO linear scar. The patient has the freedom to trim and style their hair as they please. Furthermore, the lack of strip removal maximizes amount of donor hair that can be harvested.